Flying to Dubrovnik in December isn’t as bad as it sounds. It is an off-peak time but there are still many things to do while you are there. For one, you will avoid the tourists and basically have the city all to yourself. Now that sounds like a plan to enjoy a little alone time and tour the Game of Thrones! Consider the discovery of Dubrovnik in December. One of the first places you will want to head to is the Old Town, which is the old part of the city that is actually rather new as it had been rebuilt after the war in the early 1990s. The first reason why you should go in December? Hotel prices are very inexpensive. You can stay in an awesome location for a really good price and be where everything is. We press you to try and do this during the summer months. You just won’t be able to! In the Old Town, there are many things to see and do. You can check out the Dominican Monastery with its amazing architecture, cool little gift shops, Sponza Palace, the Old Port (with a wonderful view of the harbor from outside the walls), Rector’s Palace (a Gothic-Renaissance style mansion and museum), the Dubrovnik Cathedral, and St. Ignatius Church. There is so much more you can see and do but these are some of the highlights. The great thing about touring Dubrovnik during the off-season is that you can wander the streets, climb countless staircases, walk through narrow alleys and search for the best views. They are everywhere but you can’t do this very well in the summer. When you find a spot, the views will take your breath away. Once the sun sets you will feel the chill of the December night air but there are lovely bars and restaurants open that will help you warm up! Old Town is lit up with festive Christmas and New Year’s decorations. There is even a Christmas market that has dancing with a DJ, colored lights and drinks! There’s always a party in Dubrovnik even in the winter! 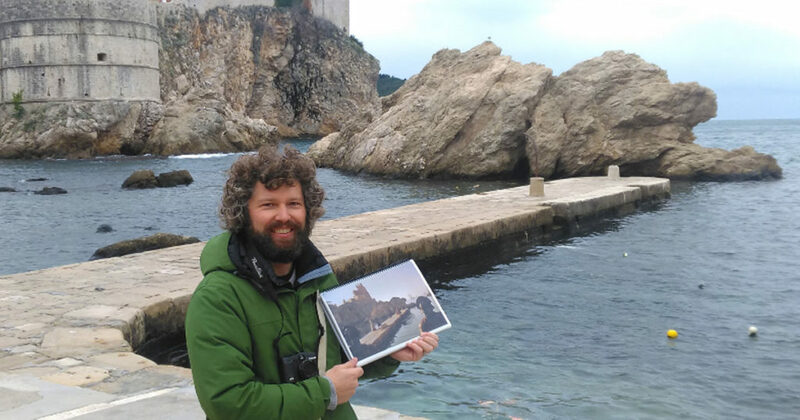 Another thing you can do in Dubrovnik in December is take a walking tour of the Game of Thrones. See where many of the show’s scenes were shot, right in Dubrovnik and its surrounding areas. These tours are private and available to you all year long. So why not let someone lead you around and show you all that this great city has to offer? You won’t be fighting crowds of people for the best views. They are yours for the taking. If you are looking for a little European getaway, consider Dubrovnik in December. You will basically have the city to yourself and you will be able to appreciate the city just a little better. Do come back in the summer, however, so you can experience all of the hustle and bustle that this incredible city has to offer as well. Tour the Game of Thrones today! Tomislav gave a wonderful game of thrones tour my whole family thoroughly enjoyed - despite the fact only half of us had seen the entire series! He paced our walk to match the very warm day and showed us parts of the old city that we had not yet seen. He also had photos from the movies so you could see the comparison between GoT scenes and the city. He also knew the history of Dubrovnik and had a great sense of humor. I highly recommend this tour.